I was having a nice chat with Ashley about fighting in hockey the other day and I thought it would be good to explore the role of enforcers and tough guys in the EIHL. I love fighting in hockey and although it is something not everyone condones and with recent legislation in the NHL about protecting players from concussions and other injuries related to fights it’s a bit of a hot topic. Some of the talk is negative. Tim Spencer who recently signed for the Sheffield Steelers, has only amassed 35 points in his pro career. His signing is aimed at taking away some of the pugilistic load off star defenseman, and returnee Drew Fata. The Steelers fell short of silverware last year that ultimately cost their coach Ryan Finnerty his job. Finnerty built a team that epitomises a notion that is popular in UK hockey as a roster with “team toughness ” and boasted fighters like Fata, Chris Frank, Simon Ferguson, Shawn Limpright and Tylor Michel. 03/04: Sheffield Steelers – Dion Darling carried the load with 8 fighting majors where regular fighters Gerard Adams chipped in with 3 while Kirk DeWale had 4 and agitator Marc Lefebvre had 5. 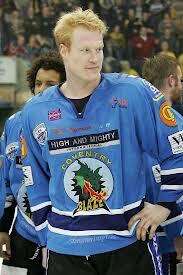 04/05: Coventry Blaze- Wade Belak was arguably the toughest guy to ever play in the EIHL and came to the Blaze via the Maple Leafs in the 04/05 lockout year. He quickly went to work with 8 fights, going unbeaten and led the Blaze to a Grand Slam year. The team also had UK hockey legend Andre Payette who amassed an impressive 18 fighting majors 369pims and 31pts. While returnee from the year before Graham Schlender added 7 fights, the team had learnt from being pushed around the year before and was one of the most exciting and one of the best EIHL rosters to date. 05/06: Belfast Giants – the Giants were a team that oozed tough guys that year with Jason Bowen who returned had 7 fighting majors and Shawn Skiehar had 13. The team had a lovely balance of goals and toughness boasting Stanley cup winner Theo Fleury and former San Jose Shark Ed Courtenay. 06/07: Coventry Blaze – the Blaze boasted ex Buffalo Sabre Rumun Ndur who managed 9 fights in a year plagued with injury and Dan Stewart who had 6 which included fights against Brad Voth from Cardiff and a great tilt with Shawn Maltby of Sheffield. 08/09: Sheffield Steelers – a team built for in your-face hockey boasted fighters in Ryan Finnerty, Steve Munn and Brad Cruikshank who had 5 fights each, while Scott Basiuk added 7 and Andrew Sharp added 8. 10/11: Sheffield Steelers: a fun team to watch they had Derek Campbell and Neil Clark both with 8 scraps while the ever present Steve Munn added 5. 11/12: Belfast Giants: The Giants relied on Adam Keefe for toughness this year and he added 11 fighting majors. at 40:10. Jason Beckett had 4 and Steve Lee, David Ling and David Clarke all had 3. 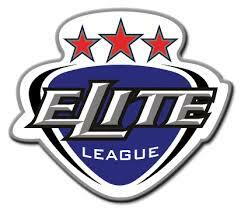 What does this mean for the EIHL fighting mix? Find out in part 2 tomorrow.